We had high hopes this time for the nest. However the circle of life played out instead. It had been a really fun week watching the three gorgeous eggs be tended to and warmed by their momma and eventually watching the happy couple feed their first hatchling. We all became attached to this new little family of five that had taken up residence in the two-year old, refurbished nest under our deck. 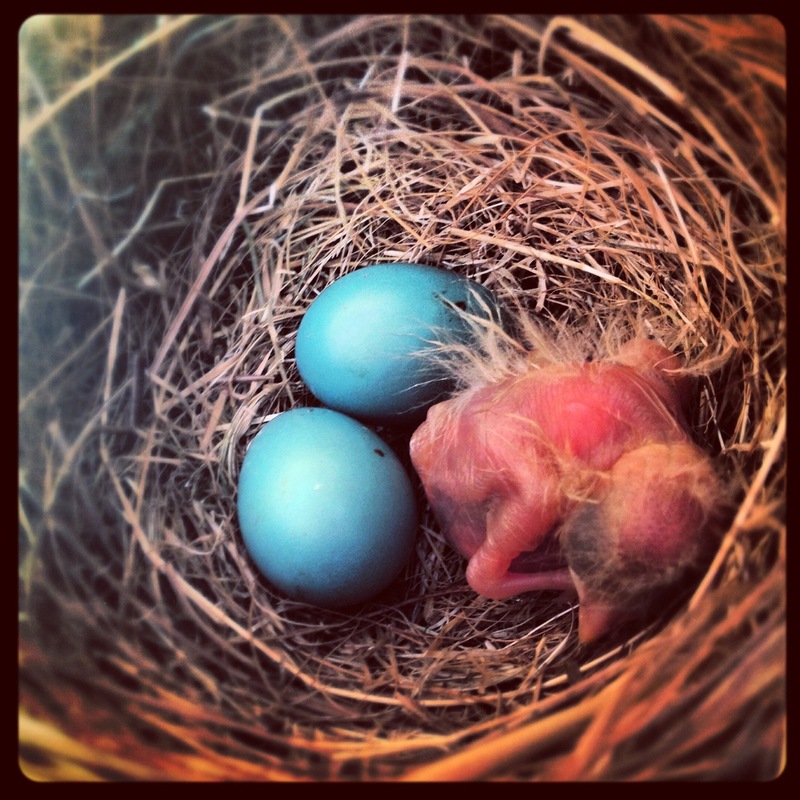 Paul would check in during the day via text message and the boys would quietly check-in on the nest after school. We grew protective of our new family and they found a place in our hearts. 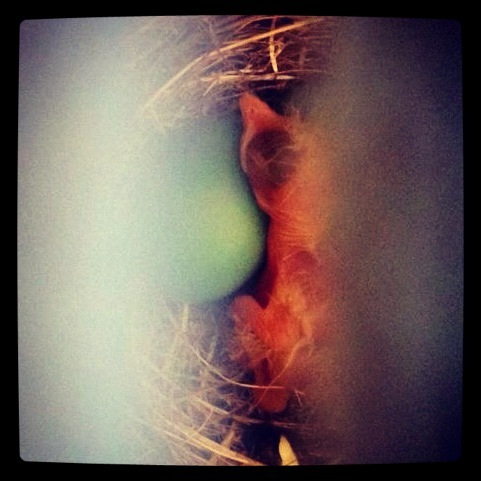 Sadly, late yesterday, a Blue Jay took the hatchling and an egg. It was a devastating blow to us all. We waited and watched for the momma to return and we were relieved to find her back in her nest warming the remaining egg late last night. 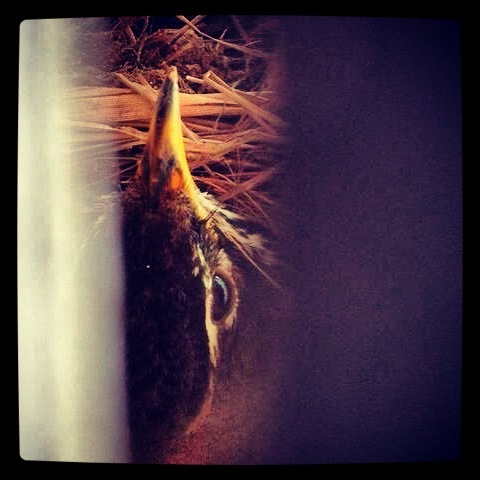 We were hopeful that this last remaining egg would be viable, hatch and survive to fly from the nest in a few weeks. Holding onto this hope made the loss of the hatching and egg a little less painful. However, sunrise delivered a grim reality to us all about the circle of life. Momma bird was gone and the nest was empty. We’re sad but hopeful they’ll be back for another go of it even if we have to wait another two years.